Samsung details Galaxy Tab 4 availability for U.S.
Samsung on Wednesday confirmed the pricing and availability of the Galaxy Tab 4 series of tablets. The newest line of Wi-Fi tablets will be offered starting May 1 and will span the 7-inch, 8-inch, and 10.1-inch models. As we might expect, the various devices will be sold at retail outlets such as Best Buy, OfficeMax, Tiger Direct, and Office Depot. And, to no surprise, you’ll be able to pick one up through Samsung.com and Amazon.com as well. RIDGEFIELD PARK, N.J. – April 23, 2014 – Samsung Electronics America, Inc. today introduced three new tablets as part of the Galaxy Tab line. The 7-, 8-, and 10.1-inch Galaxy Tab 4 tablets offer a variety of screen-size options, providing various form factors to meet the needs of consumers and businesses alike. The Wi-Fi-enabled Galaxy Tab 4 portfolio, featuring a lightweight profile with thin bezels and a textured backing, will be available in the U.S. beginningMay 1, with pre-orders starting tomorrow. Samsung continues to partner with leading news, productivity and entertainment sources to provide premium content for the Galaxy Tab 4. With Galaxy Perks, consumers have access to popular and best-selling news, social media, and cloud storage applications including: Google Play, Dropbox, Sirius XM and Audible.com. For more information, visit www.samsung.com/us/galaxyperks. 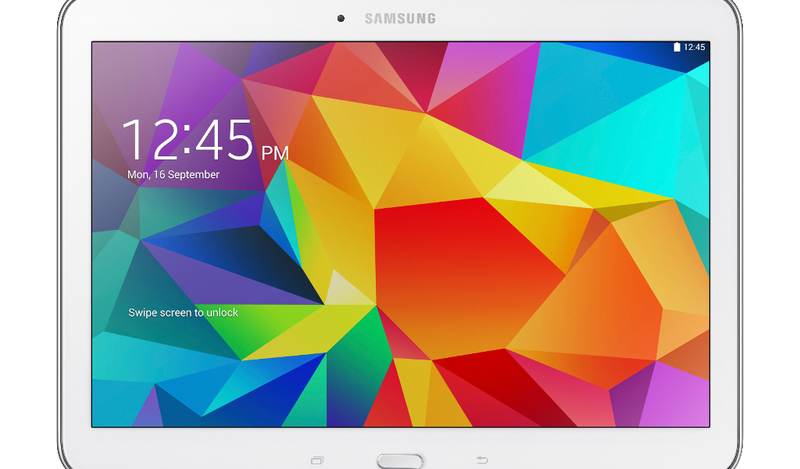 The post Samsung details Galaxy Tab 4 availability for U.S. appeared first on AndroidGuys.